It’s hard to purchase flat-pack furniture, shower curtains, or even throw rugs that don’t come complete with an unpleasant chemical odor. That odor is more than just unpleasant; it can also impact your health. Formaldehyde, trichloroethylene, xylene, toluene, and benzene are some of the most toxic of those chemical odors that can hitch a ride home along with your new furnishings, and can contribute to health issues such as allergies and asthma! Fortunately, there is a green way to rid your home of these toxins. In various studies, researchers have discovered that certain plants are very efficient at removing toxic substances from the air. 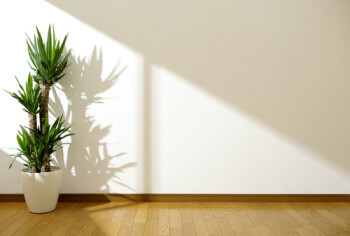 Normal photosynthesis removes some toxins, but the dozen houseplants listed below are just some that have developed that ability to a marked degree. Some of them can remove up to 90% of the toxins in your home in just 24 hours! For the best effect, environmental scientist Dr. Bill Wolverton recommends at least two good-sized plants per 100 square feet of living space. When shopping for your new living air purifiers, consider how much light you have available, how much time and effort you want to invest in its care, and whether it will be exposed to young children or pets. Some of these plants not only remove toxins, but they are toxic in their own right! Always take the botanical name of your choices with you when shopping for plants. Often, the same common name is used for a wide variety of plants with different needs and air purifying abilities. The botanical name will ensure you get the exact plant you’re after. For more information (including photos and tips on growing them), check out Mother Nature Network, Clean Air Gardening, or Sustainable Baby Steps. And, if you’re looking for a home where you can embrace a greener lifestyle, contact us.